Iran makes arrests for World Cup celebration video. 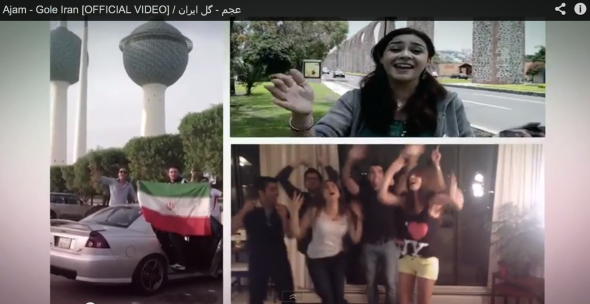 On Monday, Iran’s official news agency, IRNA, reports that the Iranian government took its buzzkill duties to a whole new level, arresting two 23-year-olds for appearing in a music video supporting the Iranian team. “Produced by the London-based Ajam Band, the clip features contributions from Iranians in more than a dozen countries around the world, including the town of Shahroud, east of the Iranian capital Tehran,” Agence France Presse reports. [Provincial police chief Col. Rahmatollah Taheri] called the video “vulgar” and urged the youth not to take part in such activities. The official said those arrested have been referred for possible prosecution.